Ask any older Heritage student what the highlight of their 4th grade year was and you’ll likely hear something regarding School of the Wild. 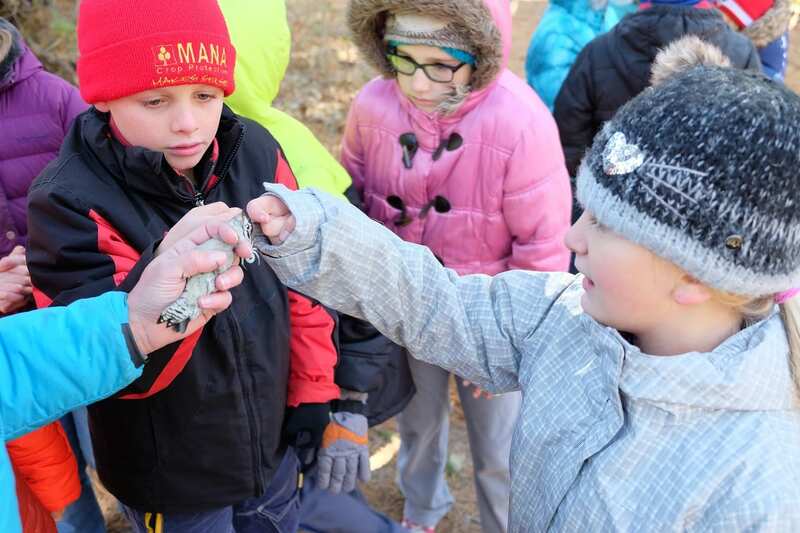 For the last 13+ years, students have had the opportunity to experience this week-long program exploring the outdoor setting with small group sizes and experienced naturalists and teachers. 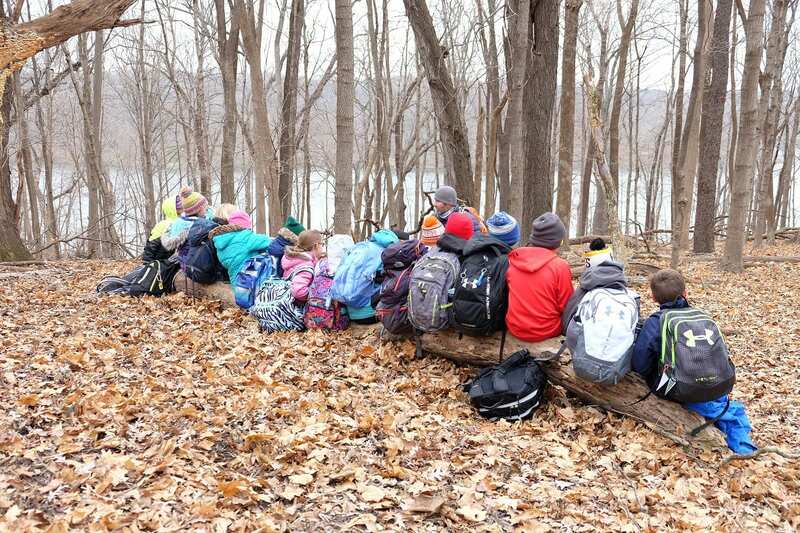 This year our 4th graders spent the week of November 12-16 at MacBride Nature Recreation Area learning about and experiencing the wonder and beauty of God’s creation. Each day had a theme with learning and activities centered around that theme. 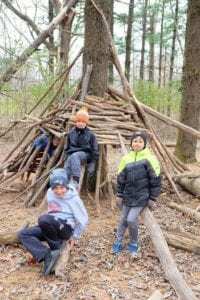 On Monday, students explored the ruins and artifacts of an abandoned homestead and also created shelters in small groups for Archaeology Day. Day 2 brought about Bird Day and was packed with activities. 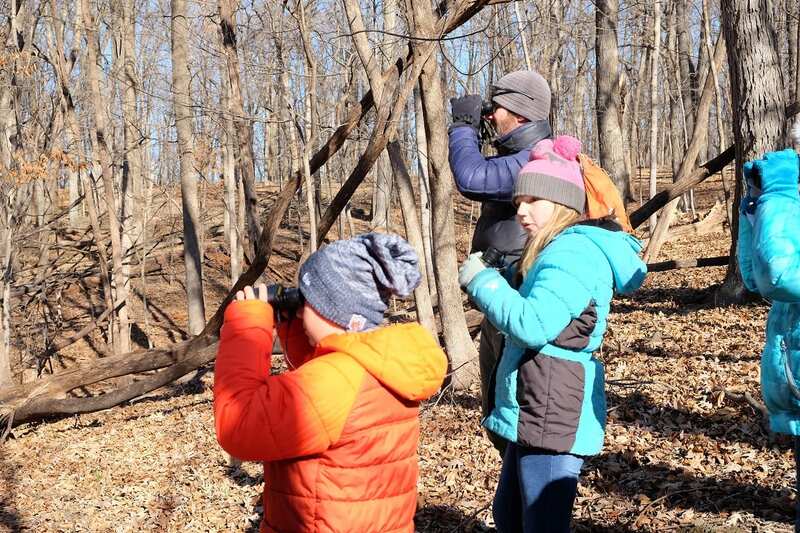 The morning was spent birdwatching on a short hike, setting up a mist net, learning the process of bird banding, and observing the male Downy Woodpecker and Eastern Tufted Titmouse that they caught. In the afternoon students spent time at the Raptor Center, visiting the different exhibits and sitting in the observation blind. 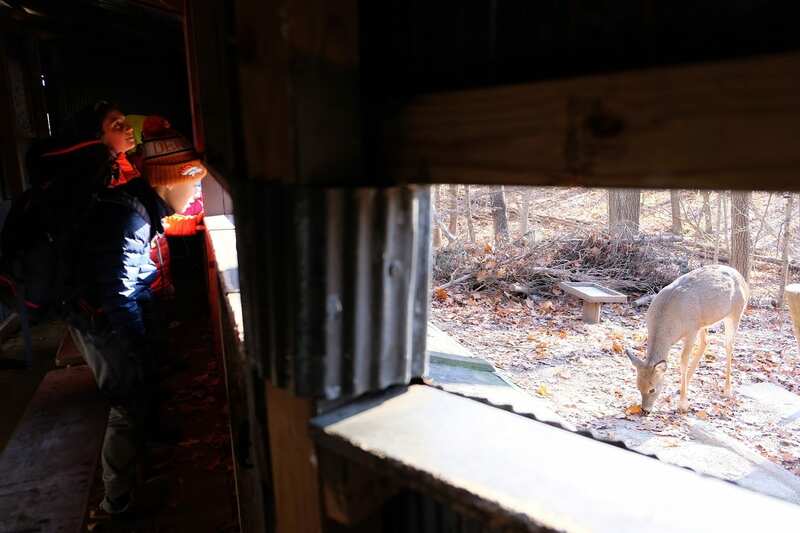 (One group even got a close up of a deer that came through!). 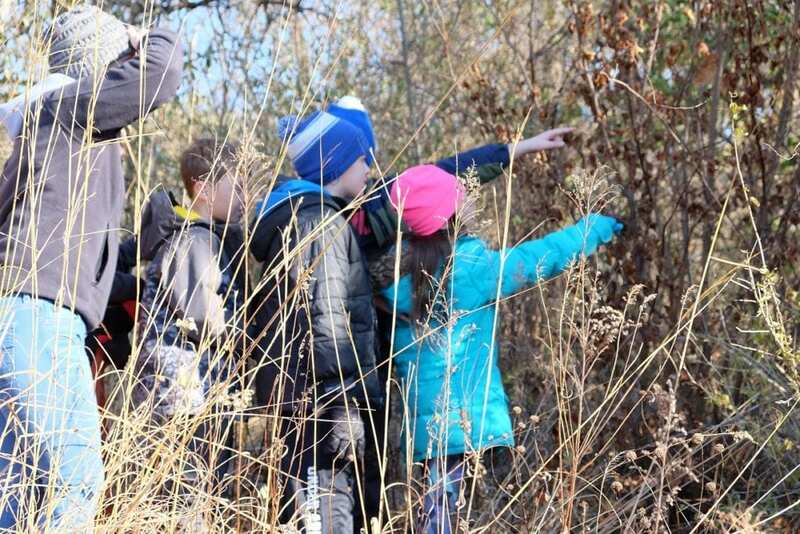 On Wednesday, the students could be found exploring some of the .1% of original Iowa prairie remnant, sniffing mint, and spotting an opossum for Prairie Day. They also had fun playing Predator and Prey, enjoyed some of the ice left by the high waters, and played hide and seek in the prairie to end the day. 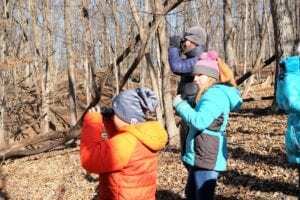 Wetlands Day came next which including hiking and “pontooning” to several different ponds, observing signs of beavers, and learning the history of Lake MacBride. Unfortunately, this year Spider Pond was covered in several inches of ice so it wasn’t possible to do the usual canoeing so instead the students ended the day with s’mores and more hide and seek in the prairie. 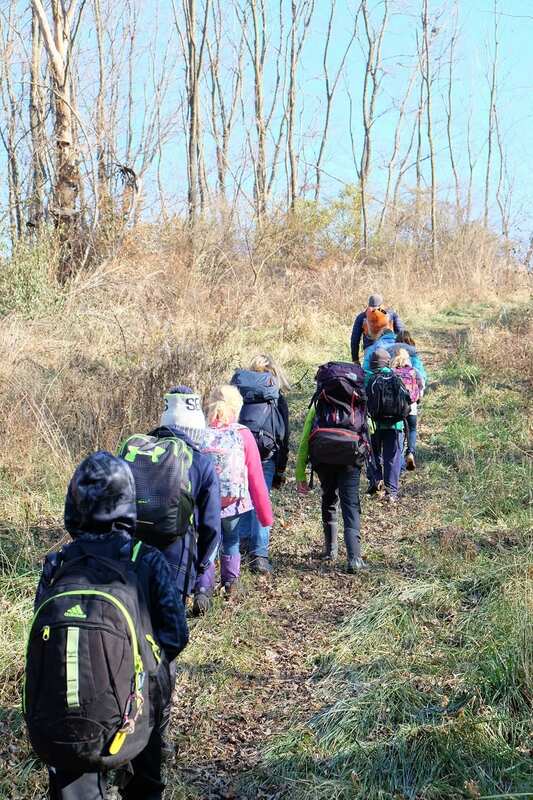 The final day of the week was Woodlands Day and the students ended up hiking over three miles! 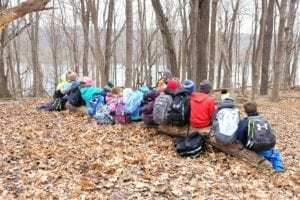 They were challenged to find several different types of trees, learned a song for the types of oak trees, and ate a chilly lunch at the spillway. 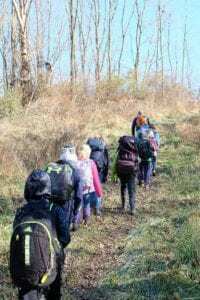 In addition, they did a blind hike, individually reflected on the sounds of nature, and then ended their day back in the prairie (their favorite place!) for coyote tag.